Tronic steampunk mask is hand made and accented with lots of gears. Mask is hand painted and comes with black elastic band and ribbon ties. The respirator can be removed if needed. 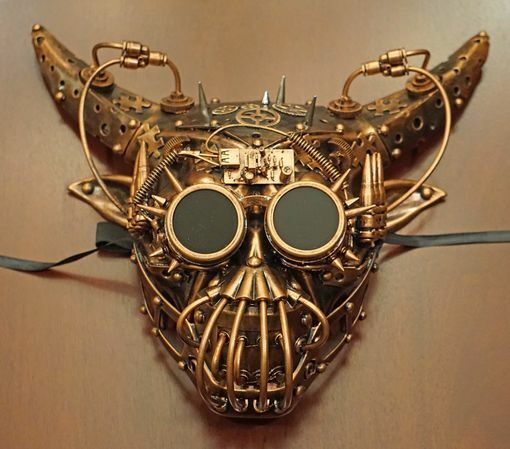 This Steampunk mask come in copper, silver, and gold.